When Hillary Clinton launched her “African-Americans for Hillary” group at a rally at Clark Atlanta University in Georgia in October, 19-year-old Kalin Tate remembers feeling excited to cover the event for her college newspaper. The daughter of an avid Clinton supporter, Tate said she was looking forward to meeting the former secretary of state and the many prominent African-American figures scheduled to be at the rally. So she was extremely surprised when protesters quickly interrupted Clinton, chanting “black lives matter” until they were escorted out of the venue. Now, four months later, Tate is a strident supporter of Bernie Sanders and recently signed on to be the Spelman campus coordinator for his campaign. She is far from the only one of her peers to feel disenchanted by Clinton this election cycle. While Sanders is expected to struggle among African-Americans in Southern states on Super Tuesday after his overwhelming defeat in South Carolina last weekend, the lack of enthusiasm for Clinton among some young black voters shows that the former secretary of state has more work to do to win over nonwhite millennials before she secures the Democratic nomination. 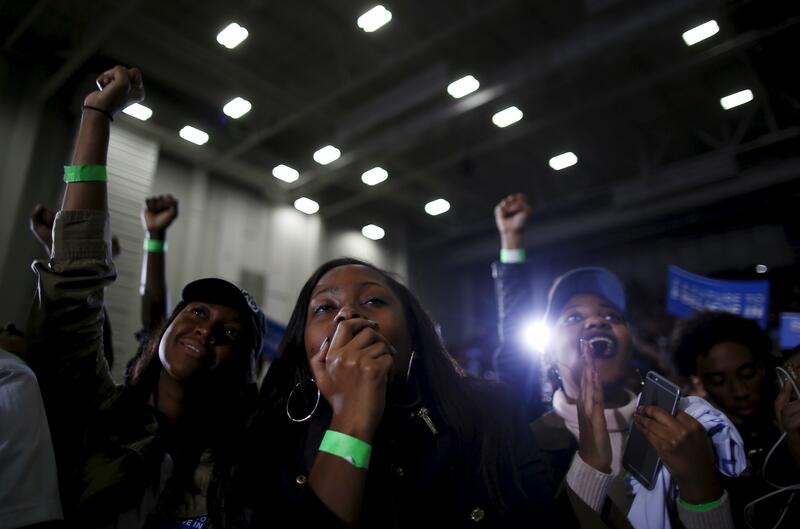 In South Carolina, black voters made up 61 percent of the Democratic primary electorate on Saturday, and 84 percent of those voters went for Clinton, surpassing the proportion that supported then-Sen. Barack Obama when he ran against Clinton in 2008. While there is no doubt Sanders lost badly on Saturday, one demographic he managed to do better with was black voters under 30. This group failed to turn out in large numbers for the Vermont senator, but he won many more of them (43 percent) than he did black voters over 65 (3 percent). This difference didn’t win Sanders the primary — or even the demographic in South Carolina — but it did reveal a stark generational divide in how African-Americans in the South are viewing the 2016 election. Sanders has done well among young voters in all of the first four nominating contests, and it looks like that trend may continue this week. This election cycle has made it clear 2016 is the year of the outsider, and this is especially true for millennials of color. Super Tuesday — when Southern states Georgia, Alabama, Arkansas, Tennessee, Texas and Virginia, which all have large black populations, will vote — offers another chance for the Democratic candidates to woo African-American voters. With the rise of the Black Lives Matter movement and increased attention on incidents of police violence over the past year, young African-Americans interviewed recently said they were looking for a presidential candidate who could convince them they genuinely understand issues of race and inequality. 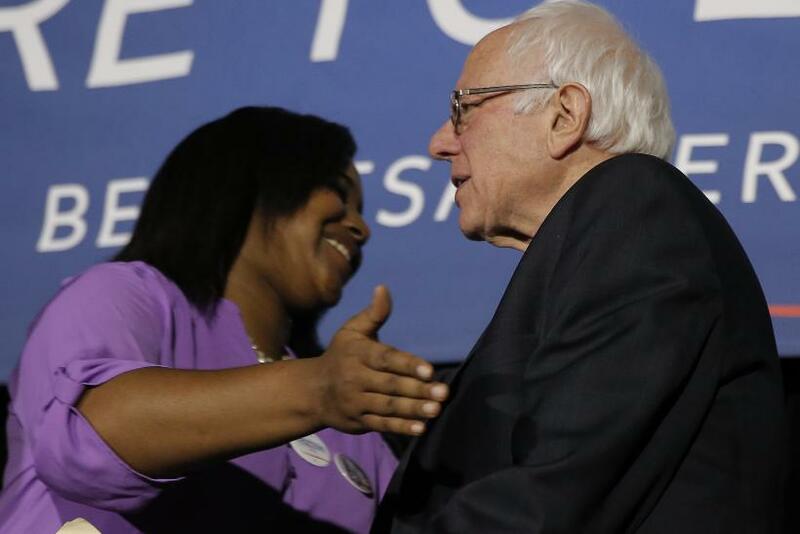 Ambur Smith, who graduated from Hampton University in Virginia last spring, said she was leaning toward Sanders because she likes his stances on campaign finance reform and race relations. She is now pursuing a law degree at Georgetown University in Washington, D.C., and said her aspirations heavily influence her thinking about the election. “The most important thing to me is definitely criminal justice reform, especially because I’m looking to be a part of the legal profession. These are things I’m going to be confronted with,” Smith said. Other students similarly said criminal justice was at the forefront of their minds during primary season. Jaycee Holmes is a senior at Spelman College who supports Sanders and whose mother is originally from Panama. Jaycee has a brother, which makes her think about issues such as immigration and incarceration rates among black males when she watches the 2016 debates or sees the candidates speak. Clinton’s campaign has tried to appeal to African-American voters through her wide network of supporters in the black community and by painting Sanders’ proposals as single-issue or unrealistic. Her surrogates include civil rights hero Rep. John Lewis, former NAACP leader Hazel Dukes, Rep. Jim Clyburn and a group of black mothers who have lost children — including Trayvon Martin, Eric Garner and Sandra Bland — to violence or police encounters. While these high-profile names might appeal to some African-Americans, they are not necessarily the icons young people look to when deciding how to vote. For example, Lewis, who is celebrated for his role in the historic March on Washington, drew ire on Twitter after he criticized the Vermont senator’s record on civil rights. More than Twitter wars, though, millennial voters are simply more likely to base their decisions on familiar faces or seeing a candidate speak in person. Tate, the sophomore at Spelman College, said she learned more about Sanders’ campaign by watching Atlanta-based rapper Killer Mike speak about the candidate’s ideas in a video on Facebook. 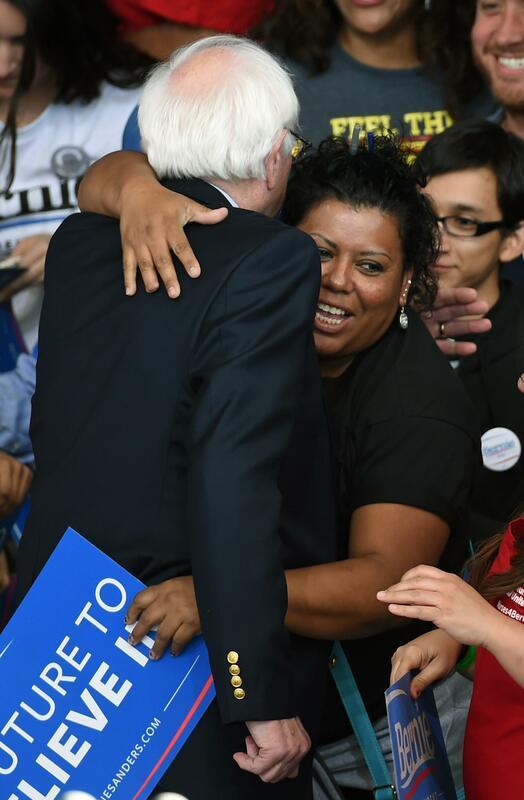 She said she felt excited by Sanders’ proposal to make tuition free at public universities despite the fact that she, as a student at a private, historically black college, would not directly benefit. Sanders’ education plan has been a target for Clinton supporters such as Clyburn, who have warned that offering free tuition at public colleges could put historically black colleges and universities, which already struggle financially, out of business. As Sanders’ losses in South Carolina and Nevada showed, rallies full of young people often don’t translate into voter turnout. 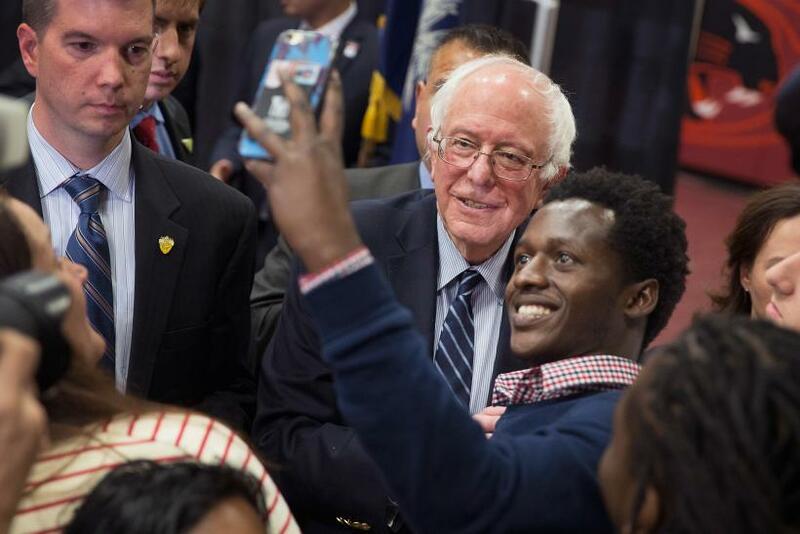 The Vermont senator is widely expected to lose the Southern Super Tuesday states, but Wright Rigueur, the Harvard professor, said black millennials’ support for Sanders could provide credibility for his ideas even if he loses the nomination. Ernest Holmes, Jaycee’s younger brother, attends Morehouse College, an all-male historically black college near Spelman in Atlanta. He said many of his peers are dissatisfied with both Democratic candidates, and expressed fear that if they don’t vote, the Democrats might end up with a candidate who can’t defeat the Republican nominee. For the younger Holmes, seeing the candidates speak near his campus was what helped him decide who to support. When Sanders came to Morehouse just a few weeks ago, he said, there were far more students in attendance than there were for Clinton’s event in Atlanta last fall. 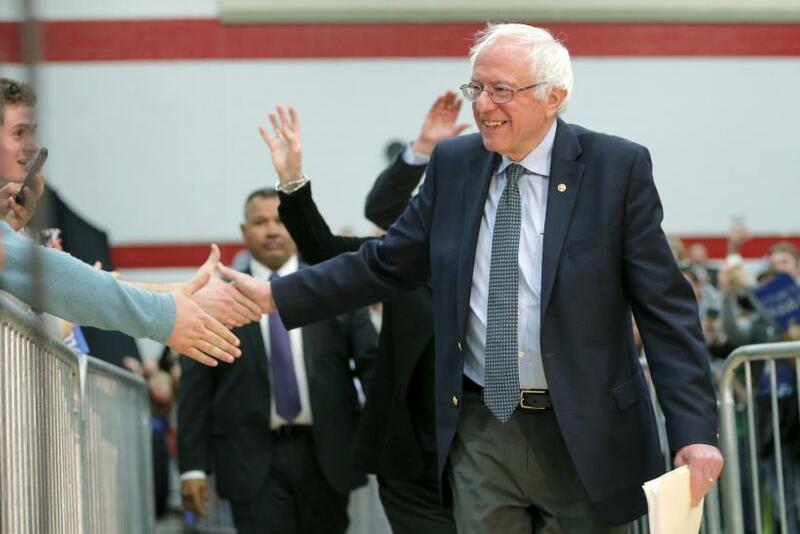 How Will Sanders Do On Super Tuesday?